Finding genuine Mercedes Benz C43 AMG Parts is often not as easy as you would imagine. Of course, if you own a Mercedes Benz C43 AMG, or if you service them in your auto repair shop, then you already know that. C43 AMG owners are passionate about their vehicles. That's why you rarely see one modified. In most cases, the owner strives to find identical replacement parts to keep the classic look of their Mercedes-Benz C43 AMG intact. 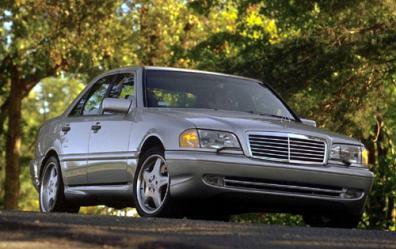 Imagine how much better life would be if you had complete access to a huge inventory of Mercedes-Benz C43 AMG Parts? Well, now you can, thanks to UNeedAPart.com. With our network of over 7,000 parts dealers and supply shops, we make the difficulty of finding Mercedes Benz C43 AMG Parts a thing of the past. Using the parts locating service at UNeedAPart.com is easy, fast and effective. Just enter in the information for the vehicle and the part you need and in no time, you'll receive a list of suppliers who have the part. Best of all, it doesn't matter how small or large the Mercedes-Benz C43 AMG Parts are that you need, we can locate them. From the C43 AMG Engine to the C43 AMG Wheels, every part of the vehicle is locatable. Even body shops can utilize the strength of selection at UNeedAPart.com to help locate much needed Mercedes-Benz C43 AMG parts. If you need a part for your Mercedes-Benz C43 AMG, or you run an auto repair or body shop, allow UNeedAPart.com to locate it for you. You'll be surprised at the difference in choice and cost when you have access to over 7,000 inventories. Finding the right Mercedes Benz C43 AMG Parts! To get started, simply use the Parts Request boxes at the top and/or side of the page. You will be matched with auto parts dealers that meet your search criteria. UNeedAPart.com helps you find the new or used auto body parts you need in no time!